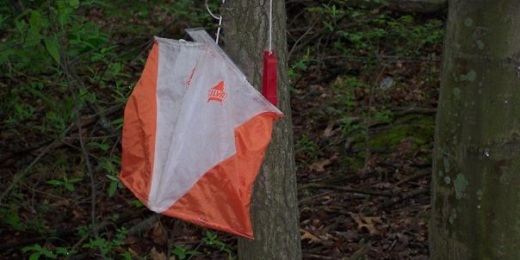 Have you ever heard of orienteering? It’s an interesting sport – the marriage of cross-country running and land navigation skills. Basically, you’re given a topographic map that has a number of points marked on it, and your job is to reach each point and cross the finish line as quickly as possible. You’ll make mistakes. Learn from them. One of the basic skills needed for orienteering is the ability to read the map and choose the best route so that you can reach your objectives while avoiding obstacles along the way. The trick is that you don’t have access to the map until the race begins, so your ability to quickly access the situation and make decisions is important. This isn’t a skill you can develop at home – it only comes from being out in the field, testing yourself time and time again. You’re going to get lost at times, but you’ll learn from those mistakes and you’ll make better decisions – and quicker ones – with time. I don’t know a single successful business where the owners jumped in without any previous experience, made no mistakes, and struck gold. It doesn’t happen. If you’re starting a business, accept the fact that you don’t know everything. Make a bargain with yourself; when you screw up, be determined to learn from it so that you can do better next time. After you start running in an orienteering race, you begin looking for distinctive things, like a birch tree surrounded by pines or sharp changes in the terrain, which tell you it’s time to change direction. If you stop looking for those landmarks and start paying attention to others, you can easily mess up. Overshoot your target, and you may need to backtrack or attack your goal from a new direction. Concentration – the ability to focus on the task at hand and not get distracted – is important. Businesses are rarely founded on singular, isolated, ideas. Often, you choose from a number of options; you put aside the least appealing and focus on the one that has the most promise. The allure of new ideas doesn’t stop on Day One, though. As you travel down the path your choose, new ideas and new opportunities will spring up. Sometimes these amount to new information that will allow you to reach your goals more quickly. More often than not, however, they are distractions. If you start focusing on them, you won’t see those landmarks you established at the beginning. You may never get to them. Don’t be deaf and blind, but don’t allow new things to take away your focus. After the start, it’s all about endurance. We love seeing the start of races. Runners head off into the distance, all full of energy and anxious to tackle the challenges ahead. In orienteering, as with any long-distance race, it’s the competitors that have the most endurance that have the greatest edge. Anyone can sprint for 100 meters. Not all can run at a good clip for four, six or ten kilometers, though. Starting a business is fun, but the hard work quickly sets in. If it’s your business, you’re going to have to do the work. Even if you have help, employees or contractors, you’ll be putting in some long hours over an extended period of time. Expect it. You’re going to have to push through the dip in order to get to your goals. It’s not about how fast you can run in business, it’s about your dedication to see your vision through to the end. Just as with orienteering, navigating a successful business takes experience, focus and endurance. You may not have all these skills right now, but the good news is that you can learn them. Choose your path, focus on your goal, and don’t quit until you get there. And if you get off track, correct course and attack again. This entry was posted on Wednesday, December 15th, 2010 at 05:28 and is filed under Featured. You can follow any responses to this entry through the RSS 2.0 feed. You can leave a response, or trackback from your own site.